Butte's Wolfgang Doty-Basel takes five at Starbucks Monday morning. Basketball has already taken Wolfgang Doty-Basel places he never could imagine. The 16-year-old Butte boy recently returned from a weeklong tour playing his favorite sport in Germany, the homeland of his father. 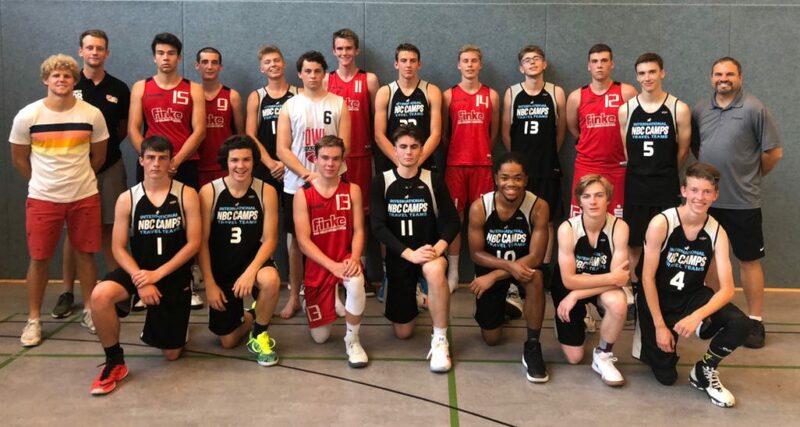 Doty-Basel toured the country, playing seven games against club teams as part of a team comprised of players from the NBC basketball camp. He was selected after participating in a camp, which stands for Nothing Beats Commitment, in Spokane. “It’s really beautiful,” Doty-Basel said of Germany, where he averaged 12 points per game as his team went 7-0. Playing point and shooting guard, the 5-8, 132-pound Doty-Basel scored 22 points in one of the games. Doty-Basel, who celebrated his 16th birthday during the trip, traveled abroad with his team. His parents, Teresa Doty and Mike Basel, stayed home. The team saw some of the sites as it went city to city in Germany. Doty-Basel’s two favorite attractions were the Mercedes-Benz Museum in Stuttgart and the Heidelberg Castle in Heidelberg. “It was a very big castle, and that was pretty neat,” he said. The basketball courts weren’t quite as noteworthy as a castle that dates back centuries. Games were played in large gyms that were basically devoid of bleachers and spectators. While he doesn’t speak German, Doty-Basel, who was already a dual citizen of the United States and Germany, had an advantage over his teammates because he could understand it. His father grew up in Germany. Doty-Basel’s first name also fit in quite well in his father’s homeland. Wolfgang is an old-school German name. 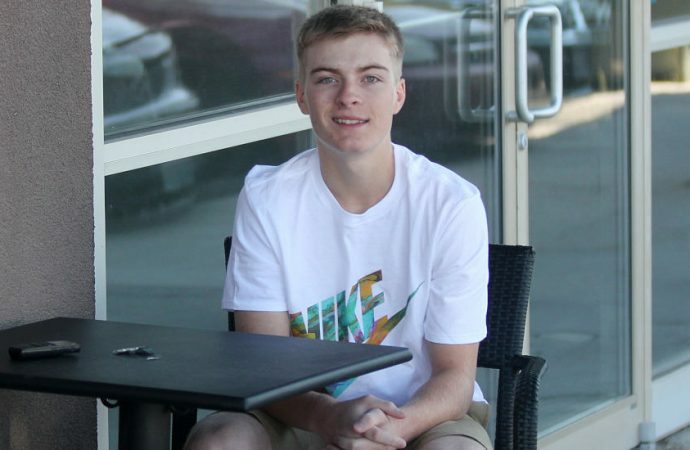 When Doty-Basel went to the Spokane NBC camp, a trip to Germany never even crossed his mind. Doty-Basel will be a junior at Butte High School this coming school year. While he said he thoroughly enjoyed the sites and scenes of Germany, the trip was, above all, about basketball. He was selected to play in the tour of Germany based on his performance in the Spokane camp. He also received a recommendation from Butte High boys’ basketball coach Luke Powers. Before the Spokane camp, Doty-Basel took part in Montana Tech’s basketball camp. He is working hard toward his ultimate goal of making the Butte High basketball team. Last season, Doty-Basel played on the Butte High sophomore team, and earning a spot on the Bulldog varsity team, which lost only one senior from last year, will not be easy. “I’m really pushing to make varsity,” he said. The coach said the work put in by Doty-Basel, who was the top pitcher for the Butte Muckers baseball team this season, is duly noted. After the camps and the tour, Doty-Basel said he can see he is clearly an improved player. “I feel like I’ve gotten a lot better,” he said. Doty-Basel played second base, third base and shortstop for the Muckers, Butte’s Class A American Legion baseball team. He made his mark on the bump. Late in the season, Doty-Basel was called up to make a pitching appearance for the Class AA Butte Miners. Basketball, though, is No. 1 for Doty-Basel. After all, the sport has taken him a lot farther than he ever thought. The trip flew by in the blink of an eye, he said, even though it was a really long flight each way. “It did. It felt like I was only there for about a day,” Doty-Basel said. It was true a once-in-a-lifetime kind of adventure. Doty-Basel, though, said he could see a return trip in his future. Good on ya, cousin. That’s something to be proud of. Keep up the good work. Great Adventure! Travel is real read of learning and seeing. Hope you enjoy all of your schooling and sports. Keep up the good work!